Chris Grayling has restated his commitment to Phase Two of HS2 and insisted that failure to deliver the high-speed rail line in its entirety would be a dereliction of government duties. His words come on the back of numerous reports which question the viability and possibility of the northern arm extension. But the transport secretary has waved off any suggestions that there is doubts about its completion, describing these stories as “completely inaccurate”. The Phase Two route will travel in a ‘Y’ shaped formation from Birmingham to Manchester and Leeds, connecting the likes of Crewe, Sheffield, and Toton in the East Midlands to the UK’s new high speed network. The firm stance showed by the transport secretary comes after an open letter organised by Midlands Connect, Midlands Engine, Northern Powerhouse Partnership and Core Cities UK called for cross-party support to deliver HS2 in full, from the west Midlands to the east Midlands, Manchester and Leeds. Those behind the letter urged leaders Theresa May, Jeremy Corbyn, Vince Cable and Nicola Sturgeon to offer their “unwavering support to the project”, believing the network is the only way to ensure the country benefits fully from a “once-in-a-generation opportunity” to drive regional economic growth and rebalance the economy. 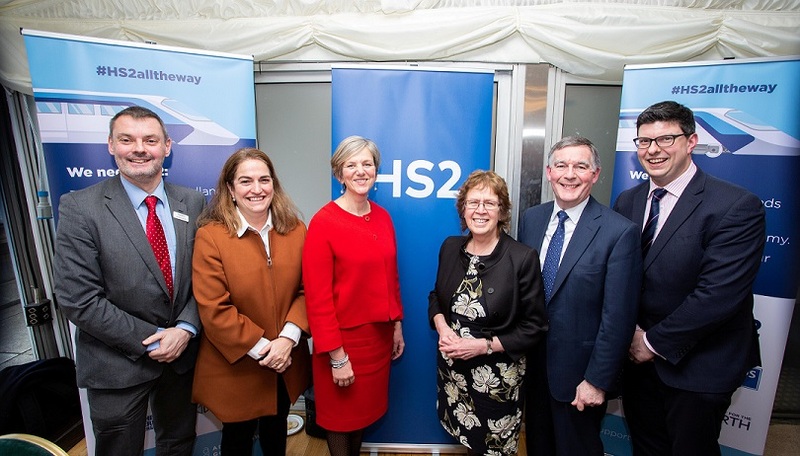 Business and civic leaders from across the country along with MPs came together last week for a parliamentary reception at Westminster to intensify their support for HS2. Speaking at his first public engagement as HS2 chair, Allan Cook, reaffirmed how HS2 will offer extra capacity, improved reliability and faster journeys. Maria Machancoses, director of Midlands Connect, believes success will only be achieved if regions in the Midland and the north collaborate.